John Hosp, PhD is a professor and chair of the department of Teaching and Learning and co-director of the Center for Disability Research and Education at the University of Iowa. He received his doctorate in education and human development from Vanderbilt University and a master's in school psychology from the Rochester Institute of Technology. 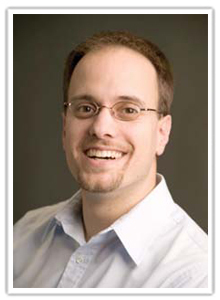 His research focuses on aspects of implementing Response To Intervention (RTI), including the disproportionate representation of minority students in special education and aligning assessment and instruction, particularly in the areas of curriculum-based measurement (CBM) and curriculum-based evaluation (CBE). Hosp has presented at several national and international conferences and has conducted workshops nationally on reading, the Reading First Program, and RTI. He is also an author of over 30 journal articles, monographs, and book chapters, and has produced a video on assessment in education. 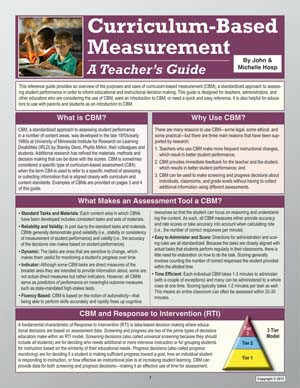 He is the editor of Assessment for Effective Intervention and is co-author of the best-selling books, The ABCs of CBM: A Practical Guide to Curriculum-Based Measurement, and Designing and Conducting Research in Education. He also co-author, with Michelle Hosp, of the laminated reference guide, Curriculum-Based Measurement: A Teacher’s Guide, published by National Professional Resources, Inc./Dude Publishing.